(AP, US News & World Report, Sept. 21, 2018) HYDRO, Okla. — It’s apt that a maze cut into an Oklahoma cornfield featuring the likeness of a former NASA astronaut can be seen from space — and has been photographed by a satellite orbiting Earth. 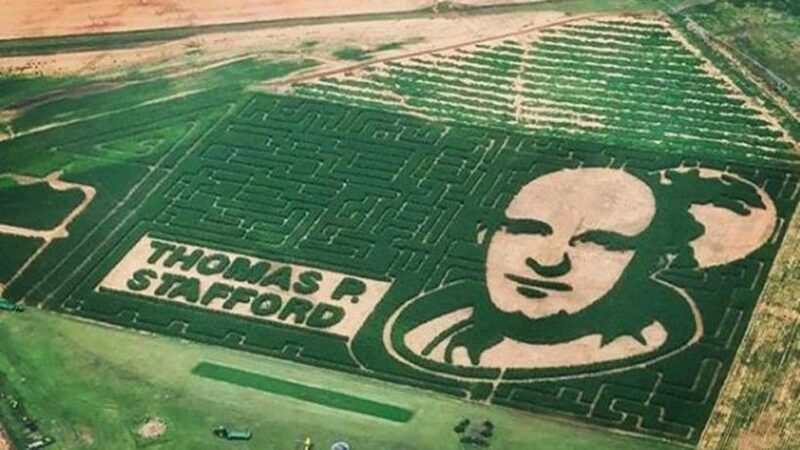 The image of Oklahoma-born Thomas P. Stafford is cut into a 10-acre field at P Bar Farms in Hydro, about 60 miles west of Oklahoma City. A satellite photographed the tribute from its orbit 400 miles away.